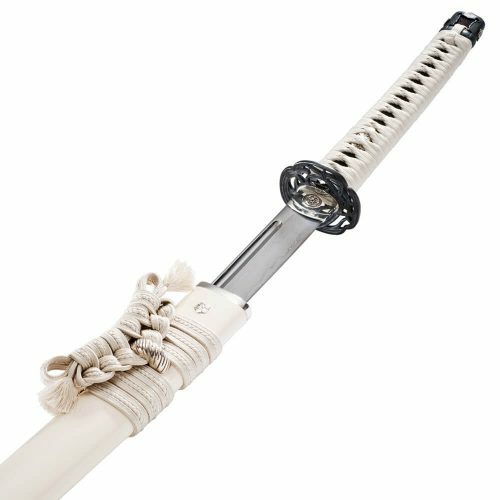 Bushido, or “Way of the Warrior”, defines the code of conduct an honorable Samurai must follow and the Hanwei Bushido katana is designed to perpetuate this tradition. 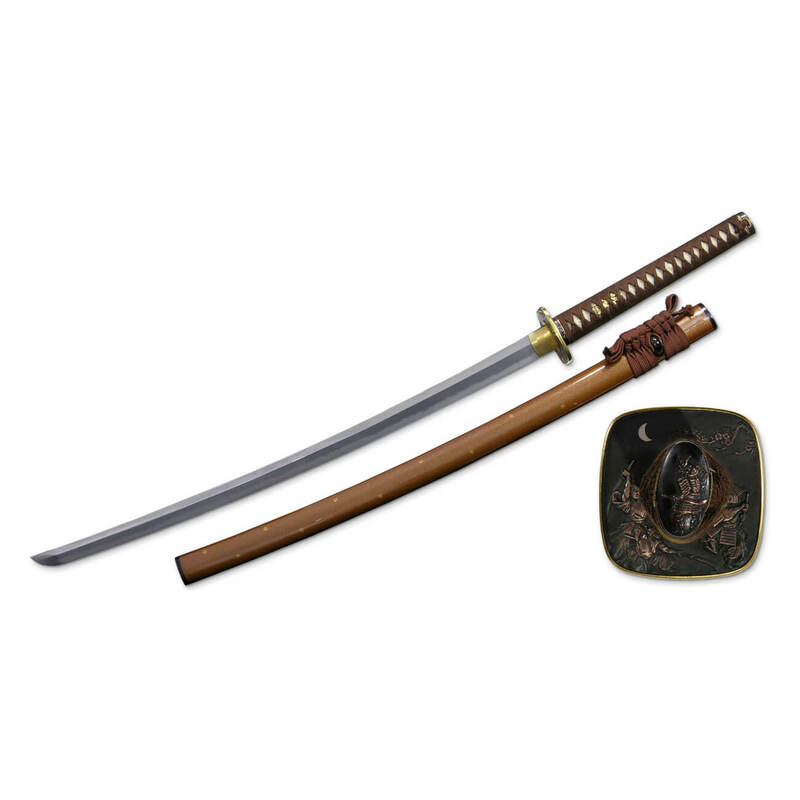 Bushido, or “Way of the Warrior”, defines the code of conduct an honorable Samurai must follow and the Hanwei Bushido katana is designed to perpetuate this tradition. 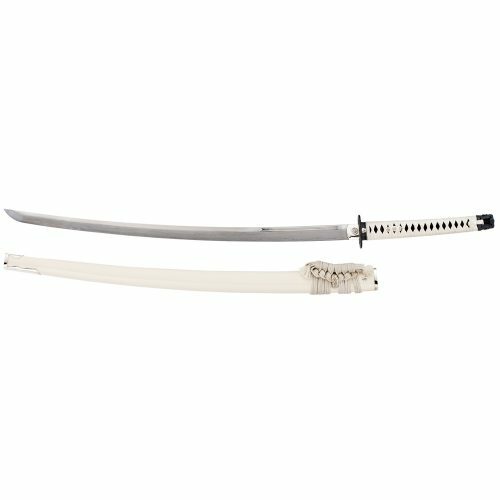 The blade of the Bushido katana is hand-forged and folded from K120C powder steel, with a medium-length (chu) kissaki. The saya is deeply lacquered with inlaid brass cherry blossom (sakura) flowers. High quality ray skin (same) is used on the tsuka. 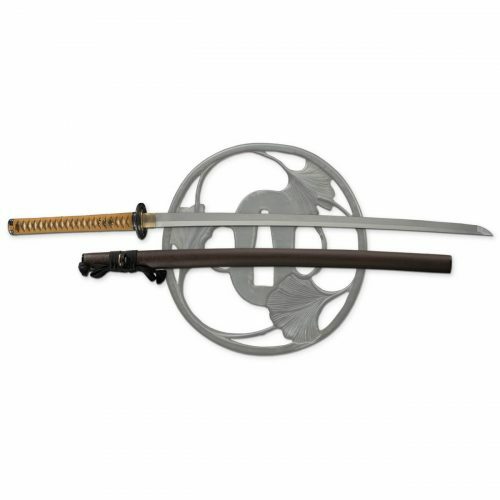 The tsuba is crafted in blackened and bronzed iron, with detailing in gold and silver and a battle scene decoration. The tsuka-ito and the sageo are woven from premium Japanese cotton. The fuchi and kashira are of blackened bronze with brass detailing, and the kojiri, koiguchi and kurikata are of polished buffalo horn. The habaki is a one-piece brass construction.